Dale & Lessmann LLP is pleased to welcome Andrew Mingay as an Associate Lawyer. 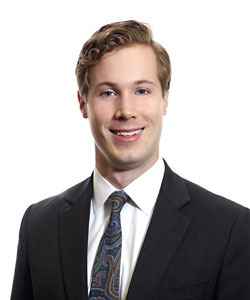 Andrew joined Dale & Lessmann LLP as a summer student in 2016 and as a student-at-law in 2017. Andrew was called to the bar in 2018. He received his Juris Doctor from the University of Toronto in 2017 and his Bachelor of Science from McGill University in 2013. Andrew's strength in business law will further enhance Dale & Lessmann LLP's vibrant Corporate Commercial team. Andrew may be reached at 416-369-7881 or amingay@dalelessmann.com.